RJ is the biggest, baddest villain in all of New Never City. At least he was until the villain’s union curses him to a fate worse than death — no matter what he does, he has to be nice. So when a smoking hot redhead named Asia walks into his office — apparently mistaking him for Sherlock Holmes — saying she needs his help solving her stepsister Cinderella’s murder, RJ has no choice but to help her. 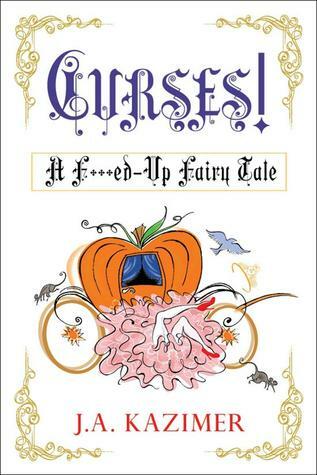 But this isn’t your typical fairy tale, and the not-so-ugly stepsister has a couple of ugly secrets of her own. Read the full review over at my friend Sara’s blog, Letters From A (Someday) Editor. Tagged curses! a f***ed up fairy tale, fairy tales, j.a. kazimer.